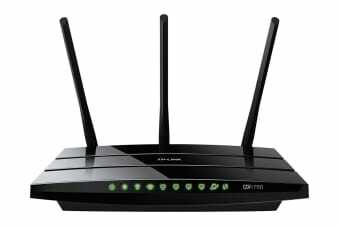 Works up to 3 times faster than wireless N speeds! 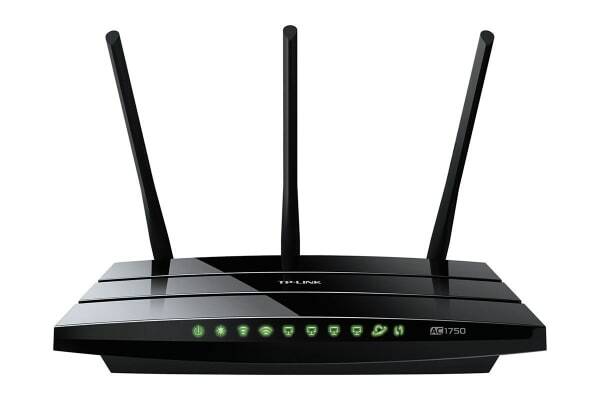 TP-LINK’s Archer C7 delivers superior wireless performance over both, the 2.4GHz and the 5GHz bands! This next-gen Wi-Fi standard – 802.11ac is three times faster than wireless N speeds and gives you a combined wireless data transfer rate of up to 1.75Gbps. Tackle everyday tasks as well as more bandwidth-intensive activities like online gaming and HD streaming at an amazing speed. Thanks to simultaneous dual band capabilities, you get the flexibility of two dedicated networks simultaneously! Enjoy the strong and fast wired network that Archer C7 supports with 1 gigabit WAN port and 4 gigabit LAN ports. Plus, it has two multi-functional USB 2.0 ports that allow you to share printers, files and media with different devices through your local network! Maintain higher speeds across greater distances, thanks to the three external 5dBi antennas serving the Archer C7’s 5GHz band, plus three additional internal antennas serving the 2.4GHz band. With such high-quality antenna technology at your service, you can be sure of a reliable wireless coverage from anywhere in your home or office.